Applications based on colored 3-D data sequences suffer from lack of efficient algorithms for transformation estimation and key points extraction to perform accurate registration and sensor localization either in the 2-D or 3-D domain. Therefore, we propose a real-time RGB-D registration pipeline, named R3P, presented in processing layers. 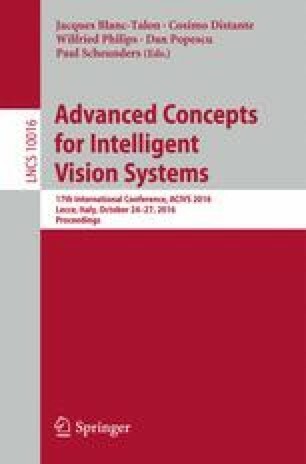 In this paper, we present an evaluation of several algorithm combinations for each layer, to optimize the registration and sensor localization for specific applications. The resulting dynamic reconfigurability of R3P makes it suitable as a front-end system for any SLAM reconstruction algorithm. Evaluation results on several public datasets reveal that R3P delivers real-time registration with 59 fps and high accuracy with the relative pose error (for a time span of 40 frames) for rotation and translation of \(0.5^\circ \) and 8 mm, respectively. All the heterogeneous dataset and implementations are publicly available under an open-source license .